BreakAway, Ltd., Award-Winning Developer of Numerous Real-Time Strategy Games and Technologically Advanced Desktop Development Software, uses entertainment game technology to create virtual experiences for solving real-world problems. BreakAway has established itself as a leader in using game-based concepts to change the way we learn, communicate, teach, and train. BreakAway will be demonstrating a new digital card game called Mythic Palace. Runaway is a 2D punk-rock parkour platformer: with only a can of spray paint and a mix of maneuvers at your disposal, resist your rival gangs battling to control your decaying home. Coming soon from one of Philly’s newest game studios: Burning Sky Games. 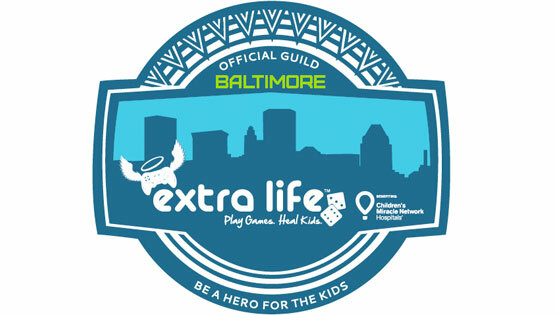 Extra Life unites thousands of gamers around the world to play games in support of their local Children’s Miracle Network Hospital. Since its inception in 2008, Extra Life has raised more than $30 million for sick and injured kids. Sign up today and dedicate a day of play for kids in your community! Play games to help heal local kids. Founded by three Wilmington University students in January of 2015, Luna Wolf Studios is an independent game studio from Newark, Delaware. They’ve developed numerous games for various platforms and specialize in the Unity 3D game engine. The games they will be showcasing are for a wide variety of platforms including mobile, pc, mac, and web. Some of the games include: Haberdashery, Save Samia, and Fungeon Crawler. They will have plenty to show and plenty of devices for all to play! Some of their clients include Legends of Learning, and YouTube celebrity LaToyaForever. They’ve competed in multiple game jams including one sponsored by Cartoon Network out in Portland, Oregon, and have placed 1st in the East Coast Reboot 48-hour game jam for two years in a row! They are a driven team of creative entrepreneurs, artists, and programmers that are always looking out for new talent and clients. – Game development including design, 3D models, sprites, music, code, etc. – Tutoring and teaching for various tools and programming languages. Matrioshka Games is developing Fallen Angel, a game in which you take the role of Lucifer and explore a unique, twisted world inspired by biblical lore in search of the Archangels who banished you from the realm of the divine. 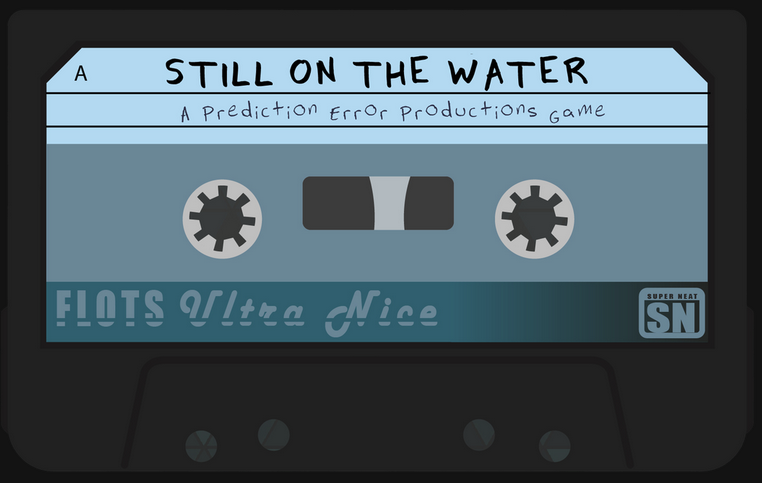 Prediction Error Productions is an independent game studio located in Philadelphia, PA, with a focus on creating intriguing and original digital experiences. STILL ON THE WATER is an immersive meditative experience developed for virtual reality. Players take on the first-person role of a lone kayaker, navigating a surreal and hallowed space. It is a game about humanity: about our material trappings that reflect something much greater than themselves, about our individual shards of the human experience, and about the fascinating and emotional weight carried in the mundane. Tin Heart Interactive makes passionate, story-driven games in a range of genres – from the nostalgic to experimental. Each experience is focused on providing the most fun possible! Underground Arcade Collective (formerly Baltimore Game Collective) is a group of nonprofessional Mid-Atlantic game developers, currently consisting of Alex Higgins, Stephen Thomas, and John D. Moore. We seek to promote our DIY attitude towards media creation by showcasing our collection of garage games and promoting free and accessible game making tools to everyone. Underground Arcade includes more than 10 games. 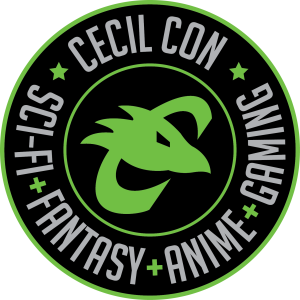 New to Cecil Con are Monster Hug, Dr. Creepinscare’s Pumpkin Patch Match, and Ungrateful Birds. Returning favorites include Monster Truck Power Fantasy, Digital Toilet World, Gewgawlicious, Bloodjak, Mutant Highway, Diablow, and Fungilluminati.